A Club record number of people doing business in North-East Fife came to the Old Course Hotel to hear what to expect in the economy of North-East Fife in 2018 from Keith Winter, Executive Director of Enterprise & Environment at Fife Council and Professor Brad MacKay, Vice-Principal, International Strategy and External Relations at University of St Andrews. 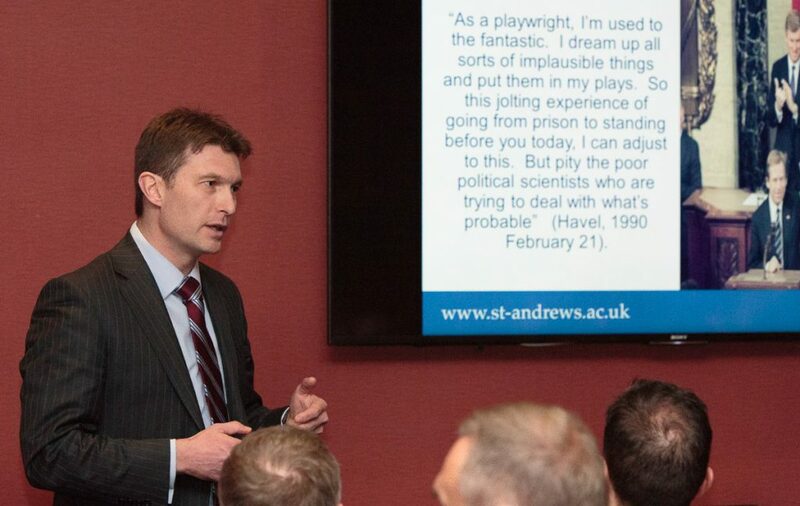 Professor Brad MacKay, Vice-Principal, International Strategy and External Relations at University of St Andrews, talked about the factors he believes will influence what 2018 will hold for the university sector and businesses in North-East Fife at the event held by St Andrews Business Club at The Old Course Hotel. Professor MacKay talked about Post-EU scenarios for the higher education sector, particularly Brexit as well as Eden Campus, the opportunities it will create and how they will be realised. Keith Winter, Executive Director of Enterprise & Environment at Fife Council, talked about the factors he believes will influence what 2018 will hold for businesses in North-East Fife at the event held by St Andrews Business Club at The Old Course Hotel. 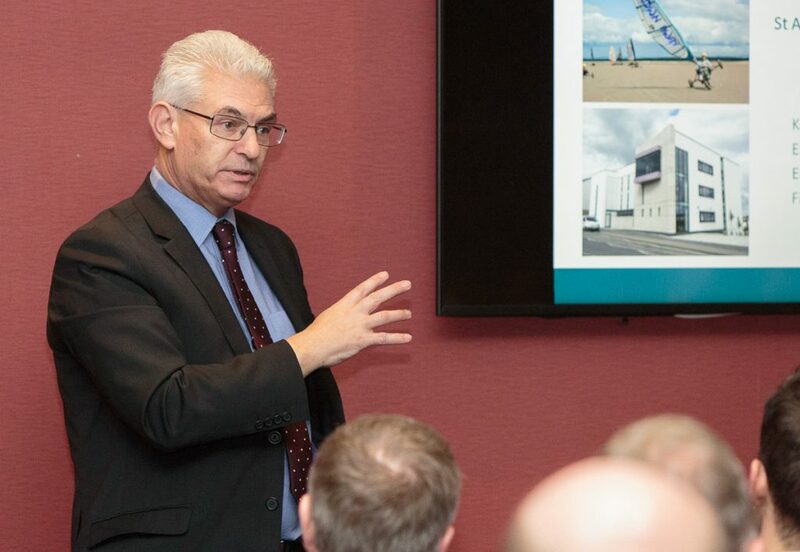 Keith Winter explained Fife’s approach to delivering economic growth, the current environment, the county’s economic and social make-up and external influences before detailing its challenges and opportunities. In particular, Keith explained the role of Fife in the Tay Cities Deal and the role of the Plan for Fife. Thanks were given to Keith and Brad for sharing their insights. NEXT EVENT: The Club’s Next Event is February 14, when Lynda Hamilton Parker, of Lynda Hamilton Communications, will explain Marketing – getting your messages across.